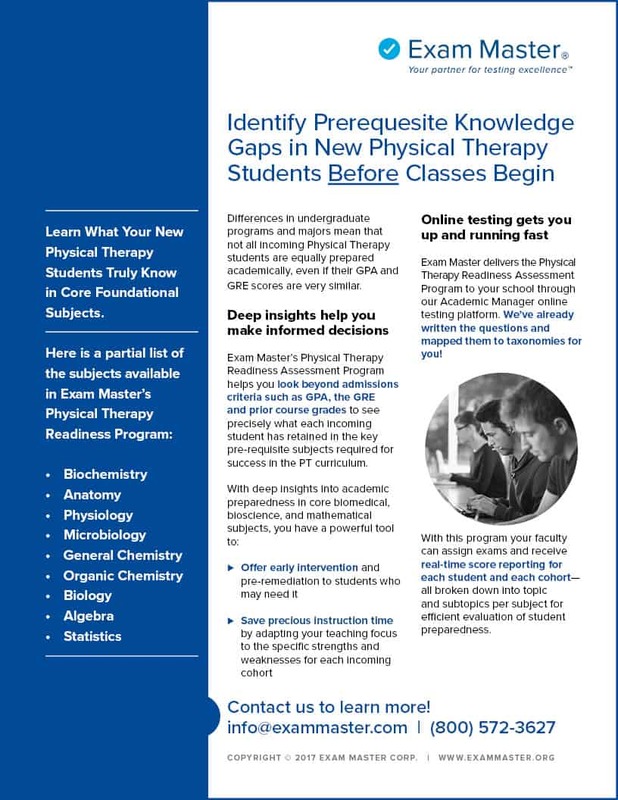 How academically prepared are your new physical therapy students? Exam Master’s readiness program helps physical therapy programs better respond to the variability in their new students’ academic preparedness at the start of the curriculum. Detailed feedback across 11 key subjects helps these programs identify students who may be academically at risk of falling behind.